Welcome to Adventures in Tandem! There is no better way to see the world than by bicycle. Life takes on a different pace as you experience it on two wheels instead of four. 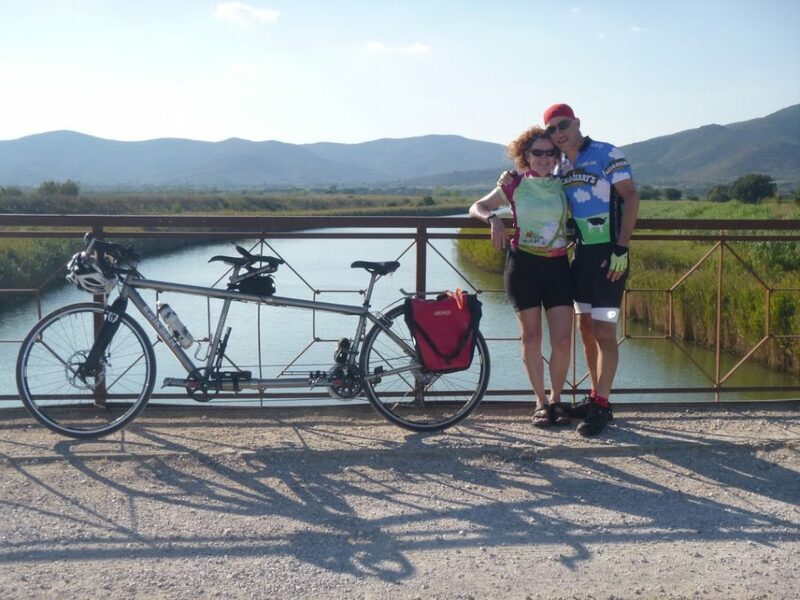 Adventures in Tandem specializes in cycling trips for couples on tandem bikes. 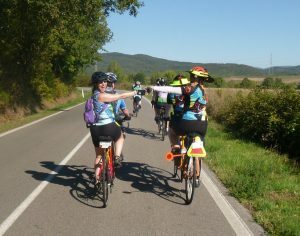 We have found that there is something about tandem cyclists that makes our job a pleasure. Maybe it’s that they are just really nice people. Maybe if you can spend hours on end sharing a set of wheels with your partner, you can pretty much get along with anyone. Whatever it is, if you ride a tandem and have never done a trip with other tandems, you really should! Our tours are small – typically no more than ten couples. Smaller groups mean that our tours are tailored for your needs. 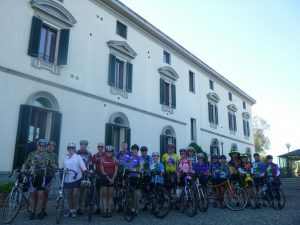 Our smaller group size also allows us to stay at quaint country inns or B&B’s for a more personal experience. We can also experience cultures in a way that you just can’t get with a large group. See our Adventures tab for our upcoming trips. Please join us for a sweet ride! Tuscany – A bucket list trip that exceeded our high expectations! This was the best! We can’t wait to travel with Adventures In Tandem again! Our Italy trip with Mike and Caren was amazing, simply over the top!